We started lesson 14, Isaac, the Son of Promise, by talking about the promises God had made to Abraham. (You can read about Lesson 13 here.) We then had a brief discussion about how sometimes we have to wait to receive the things promised to us. Perhaps we are promised a holiday or a special gift for our birthday or Christmas – but, maybe, there is some waiting involved. And sometimes it’s really hard to wait for the things promised to us. 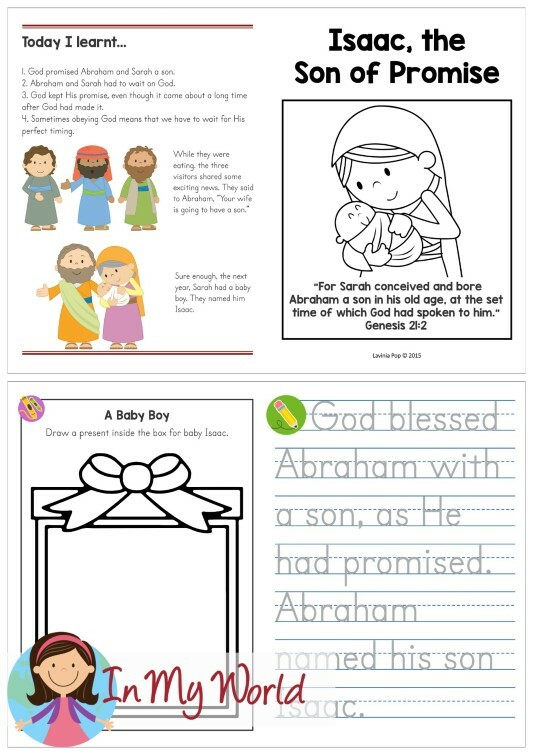 We told our kiddos that Abraham and Sarah had to wait for God to fulfill the promises He had made to them. 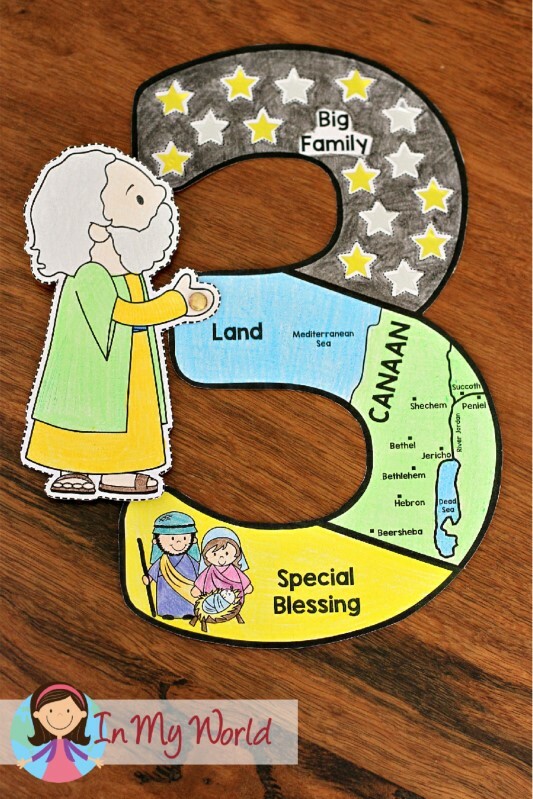 We then read “The Visitors” and “A Bride for Isaac” from the Beginner’s Bible. We told our kiddos that Abraham and Sarah had to wait over 20 years for the little baby God had promised them! During this time, they became impatient and started to wonder whether God was going to keep his promise, but, just at the right time, God gave Abraham and Sarah the little baby he had promised them. This was the special baby through whom God would keep all the other promises made to Abraham. (We brought out the craft from Lesson 13 and pointed to each section as we talked about it.) When Isaac grew up, he had kids of his own, and then they had kids and so on, and that’s how God kept the first promise. Then, God gave all those people a place to live, and so God kept his second promise and then, God sent Jesus to be born in that place, keeping His third promise. 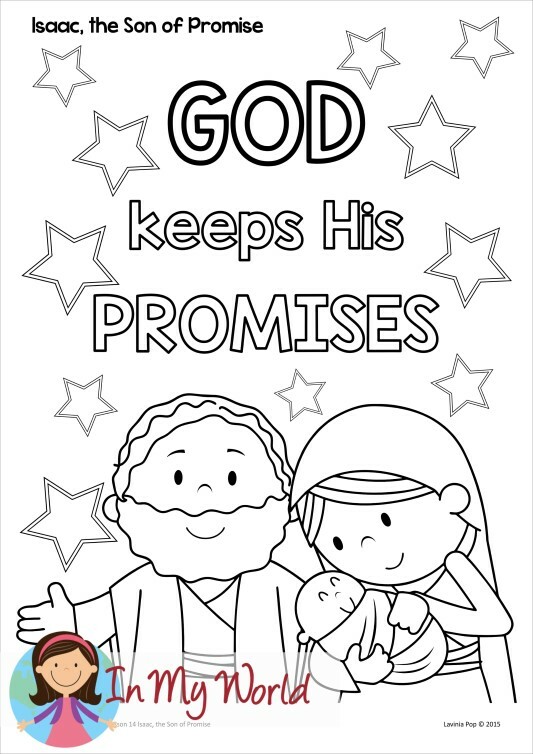 We finished the lesson by reminding the children that sometimes we have to wait for God to keep His promises. That doesn’t mean that He has forgotten about us. It means that God is waiting for just the right time to bring into fulfillment what He has promised. And it’s important for us to keep trusting that God will do what He says He will do because, as we have seen time and time again, God always keeps His promises. And this is the take home page. Thank you for this material. We can teach the children the bible with fun. I hope you can make more. God bless you! gracias por aceptar mi suscripción, que Dios los bendiga. Is it possible to purchase all your Sunday School lessons in one big bundle? We’ve been using your lessons up until Isaac the Promised Son, and would love to use more. The booklets and printables are amazing!! Do you have more lessons beyond that available? Thank you! I never considered offering a bundle for purchase; I plan to continue posting the individual lessons here. I do have quite a few more lessons, and I hope to begin posting new lessons in the near future. Amazing!! Thank you 🙂 Looking forward to it! I homeschool and have purchased and use a number of your other products. I just stumbled across these Bible lessons on Pinterest. I, too, would be interested in purchasing a bundle if you have more lessons. I really like your work! Thanks for the resources!